Neova Serious GlyPeel instantly renews and recharges your skin with a complex of super-efficient glycolic gel, potent antioxidants, calming botanicals and sodium hyaluronate. Formulated with glycolic acid and cucumber extract to re-texturize and brighten your skin, smooth fine lines and wrinkles, diminish enlarged pores, soothe and replenish moisture in your skin. Apply even layer to clean, dry skin, avoiding eye area, eyebrows, hairline and lips. Leave on approximately 15-20 minutes or until completely dry. Gently peel off mask from outer edges. Rinse off any residue with warm water. Use once or twice a week, or as skin tolerates. Glycolic Acid. Exfoliates skin to improve signs of photodamaged skin. Antioxidant Blend. 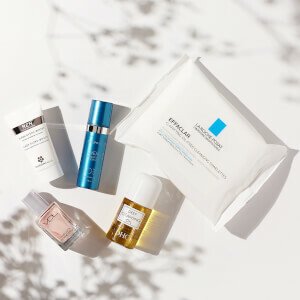 An extremely potent combination of antioxidants, including Camellia Oleifera Extract, Chamomilla Recutita (Matricaria) Flower Extract, Tocopheryl Acetate and Vitis Vinifera (Grape) Seed Extract and Rosmarinus Officinalis (Rosemary) Leaf Extract, helps to defend the skin against the signs of free radical damage and provides calming properties. Aloe Barbadensis Leaf Juice. Facilitates the natural process of exfoliation. 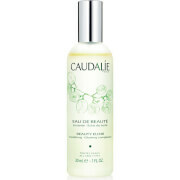 Also calms and soothes the skin, reducing the signs of puffiness and irritation. Cucumis Sativus (Cucumber) Extract. 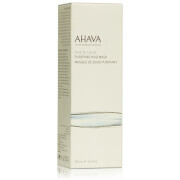 Facilitates the natural process of exfoliation. 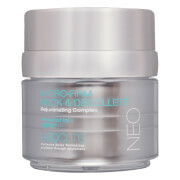 Also calms and soothes the skin, reducing the signs of puffiness and irritation. Sodium Hyaluronate. A powerful humectant, deeply hydrates and provides an immediate moisturizing boost. Water (Aqua), Polyvinyl Alcohol, SD Alcohol 40-B, Glycolic Acid, Glycerin, Butylene Glycol, Triethanolamine, Aloe Barbadensis Leaf Juice, Sodium Hyaluronate, Tocopheryl Acetate, Retinyl Palmitate, Ascorbyl Palmitate, Phospholipids, Cucumis Sativus (Cucumber) Fruit Extract, Chamomilla Recutita (Matricaria) Flower Extract, Camellia Oleifera Leaf Extract, Vitis Vinifera (Grape) Seed Extract, Rosmarinus Officinalis (Rosemary) Leaf Extract, Panthenol, Allantoin, Sodium PCA, Mentha Piperita (Peppermint) Oil, Menthol, PEG-12 Dimethicone, Polysorbate 20, Propylene Glycol, Disodium EDTA, Phenoxyethanol, Ethylhexylglycerin.